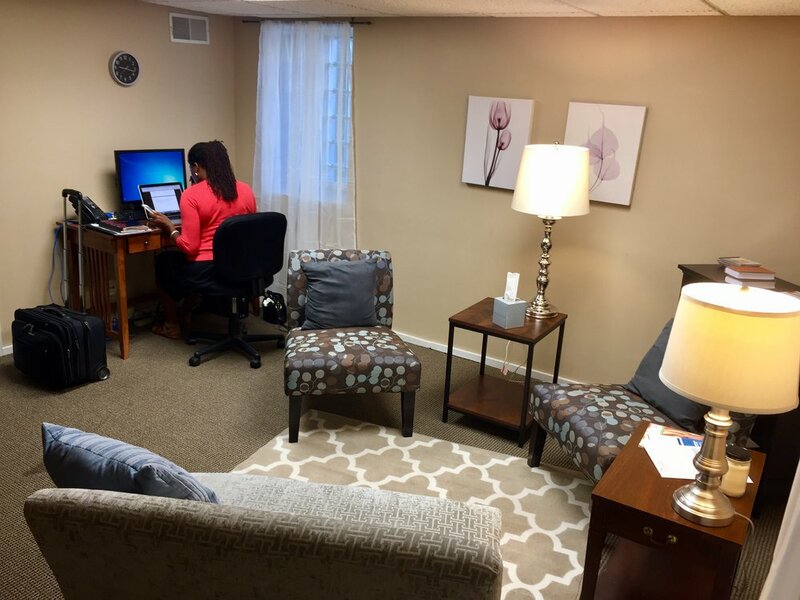 Needing a comfortable room where you can provide counseling, therapy, or small classes? Hope Clinic for Women is renting out a room for just these purposes. This multipurpose room is 188 square feet and contains a desk and comfortable seating for 4+ people. It is quiet, private, and includes a white noise machine. Pricing: $250 per month for a weekly 4 hour block, or $400 per month for a weekly 8 hour block. Please contact Erin Powell with any further questions.